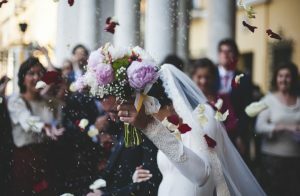 He probably has popped up the question of “Will you marry me?” now but we are pretty sure you have thought of all the beautiful ceremonial function you are going to have for your wedding. From the dress for each function to footwear to accessories, everything has been decided, but what about your big fat Indian wedding card? 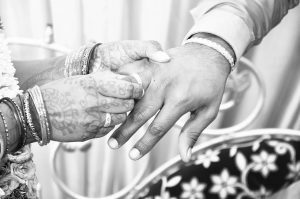 The Indian wedding cards is much more than telling people whereabouts of your wedding, it is the bearer of the news of your “D-DAY” so why settle for anything less than the best. The first and foremost consideration for your wedding invitation card is the color of it. Most of the times people prefer vibrant colours like orange, red or yellow as they are considered pious as per Hindu mythological tales and embellish them with some beautiful metallic elements, you can do the same like them but we suggest to choose the colors as per the theme of your wedding. A colour themed card in sync with the theme of your wedding is one ideal option. Not only it looks good but acquaints the guest with the theme of the wedding. There are colors for every mood, for example, the vibrancy can be reflected in orange and red, the elegance with pink and white, the rich sense of grandeur can be exhibited with bold colors. 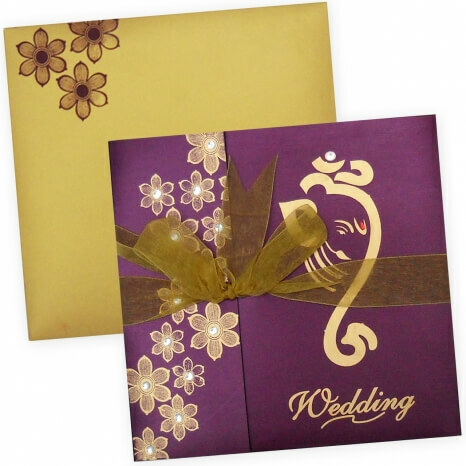 Choose the color of your wedding invitation as per the theme of your wedding functions. • The image of Lord Ganesha which is considered sacred before commencing this adventure together. and many more. The design should be in sync with the theme and regal at the same time. Another addition to the design of your Indian wedding card is the spectacular motifs which ascend the whole invitation card. Wedding card can be as eloquent or as minimalist, whatever you want. Choose a designer envelope too and send it out to invite friends and family to bless you with their presence. 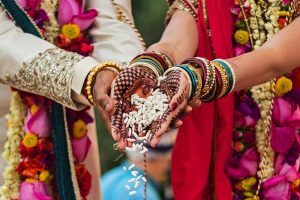 These were some of the tips for designing your Hindu wedding card. Happy Wedding!